I Left Legalism. Now What? You’ve left legalism. Now what? Thus goes the opening to a conversation I’ve had over and over again since Leaving Legalism was published. Always varying in context and details, but invariably emotionally charged, the stories that have been relayed to me by readers are heartbreaking, poignant, and never easy to hear. I feel I’m carrying a weight and a burden for so many who have left legalism, but it’s a burden I’ll gladly bear for the sake of the gospel. For the sake of reminding us all of what Jesus did for each and every one of us. I’m praying for you. Most of those stories end with a giant question mark. Now what? I left legalism, but I am lost. What’s next? READING LEAVING LEGALISM IS A SOLID PLACE TO START. If you haven’t read Leaving Legalism, start there. I wrote it as a guide to help you find a path back to Jesus. It might be hard to read and digest, and the questions at the end of each chapter are designed to get you to rip the band-aid off the wounds and allow the light to heal them. It won’t be easy, but it will be very, very good. And a great place to begin. GETTING COUNSELING IS NOT A SIGN OF WEAKNESS. I am also going to toss the idea of getting some legitimate counseling out to you. So many of us were taught that counseling or therapy is only for the really messed-up, but not for the super spiritual. I’m here to tell you: That’s a load of garbage. Know what’s really messed-up? A religious system that measures our spirituality by our behavior and not by the righteousness of Christ. If you need counseling to process all of that religious behaviorism, then be sure you get it. Don’t let anyone stop you. Ask someone in your church if they know of a solid counselor or therapist they could recommend. FINDING A COMMUNITY THAT FOLLOWS CHRIST ALONE IS IMPORTANT. “One of the best things my wife and I did after leaving our former church was find a church where the gospel was held in high regard and freedom in Christ taught without fear. Finding a church community that follows Christ and Christ alone is an extremely important step. And if within that church leadership there is someone who can smell legalism from a mile back and offer you the freedom to land, heal, and grow in their church, then that’s a very good place to be. No church will be perfect; I trust you know that already. But a church led by transparency, by men and women who are the “chief confessors”*, who lead with love and grace and mercy . . . there is a church that can offer you an ER, triage, an ICU, and a recovery floor. Give yourself grace. Lots and lots of grace. For the choices you made in the past, for the way you treated other brothers and sisters in Christ, for the amount of time it may take for you to heal from all of the collateral damage. And then turn to give grace to those who hurt you. That’s easier said than done, no? For me, yes. We were the walking wounded, and our wounds weren’t entirely self-inflicted. We had been gossiped about, stabbed in the back during elders’ meetings, pushed out of social situations, and effectively shunned. And we helped start the church. It was a long time before I wasn’t angry, and that’s okay, too. There was grace for my anger and the Holy Spirit was faithfully leading me out of that sinful heart-set. It took years (literally, five years), but God had taught me that because He loved me so completely, I could turn and love those who had filleted me and my family. Breathe in, breathe out, and move on. I’ll have more posts about taking the next steps after walking out of legalism in the weeks to come, so be sure to join the newsletter below. 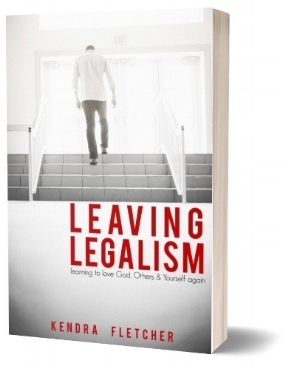 Now that Leaving Legalism has launched and is in the hands of all kinds of people who needed to hear its message, I wanted to let you know about a few additional resources. Certainly, once you’ve read the book and worked through the helpful questions, you’ll be left with an additional need to pinpoint the issues that still come up from time to time. I’m not leaving you hanging! First, a new series of follow-up posts will be coming to your inbox in the next few weeks. I’ll be addressing questions such as, “I left legalism. Now what?”, and “My family has ostracized me. 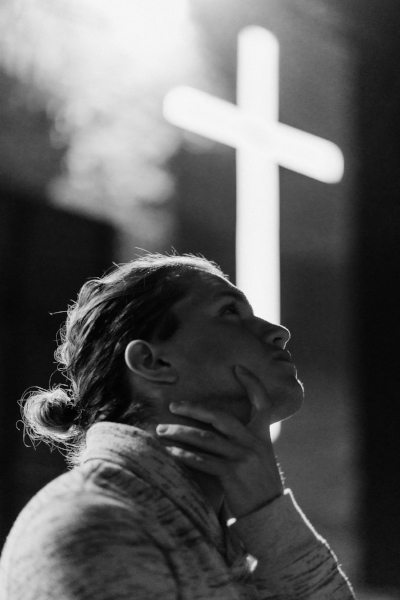 I don’t know what to do about that.” These are tough issues to wrestle with, and my whole goal is to continue to point you back to the gospel and to the Bible for solid answers and reconciliation. Secondly, there is a private group on Facebook called, appropriately, Leaving Legalism. It is a safe place for discussion, questions, and encouragement. We’d love to have you there. Click the link in the previous sentence or this one right here: Leaving Legalism Facebook Group. Third, it is my heart’s desire that the message of Leaving Legalism get out to as many people as possible. Because I’m still raising a large family, I am quite guarded about my speaking availability, but I am starting to open up 2019 for conferences, women’s retreats, and one-day events. I’d love to talk to you about yours. Click here for speaking inquiries. That’s it! Let’s connect. And if you know someone hurting from the aftermath of legalism, invite them along. There’s room for everyone at this table. Last week I walked into one of the few remaining big box bookstores in North America and after eyeing the stacks of beautiful covers and interesting categories, I decided to peruse the Christian Living shelves. I wish I could say I was shocked, but sadly, what I found was in keeping with the way I’ve watched Christian retailing and marketing transform over the past three decades (my first real job was as a cashier in a Christian bookstore when I was 16, and also sadly, that was three decades ago). Christian retailing and marketing looks very much like all the other retail and marketing, and that’s not necessarily a bad thing. We want what we have to share to catch the eye of regular people and to draw them in, and we want what we’re producing to be of high quality. But there’s a catch to all of that chasing marketability: What tends to sell in stacks at Costco isn’t deeply Biblical, unless it’s a stack of Bibles. It’s not a secret that I’ve been struggling for some time with the idea that Christians in ministry must now be marketable; I wrote a piece last year called I Daresay Elisabeth Elliot Would Not Get a Book Deal in 2017 that speaks to the reality of platforms and au courant marketing techniques. The responses were spectacular, and I especially appreciated how each one seems to be a reflection of how each of these believers lives their own lives. Phew! That should keep us reading for awhile. Is there a book that has changed your life but isn’t on this list? Let us know in the comments below!